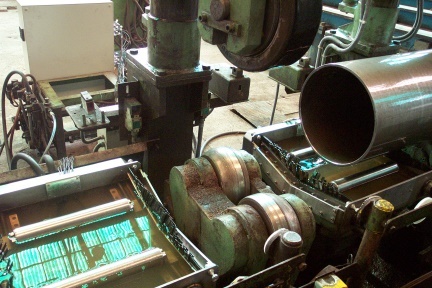 Our partner EECI (India) has developed an on-line inspection of coils using 192 channels with conventionnal electronics. This system is used for the detection of delamination with flat bottom holes of 3mm diameter(Ø). High speed Flaw detection in weld and weld profile representation. The speed of the bench is 500mm per second. Ultrasonic flaw detection equipment complete with nine(9) testing channels for the inspection of seamless Gas cylinder. Option 1 : fully automatic system that is designed to interface to an inlet and outlet conveyor on the Gas cylinder production line. Option 2 : System that requires the operator to load the component on to the system, and then initiate the inspection sequence. Our partner NDT Ukraine has developed an OCTG tubing inspection bench for the extremity of the tubes with a high productivity line using our patented FAAST Phased Array technology, according to the highest API standards. 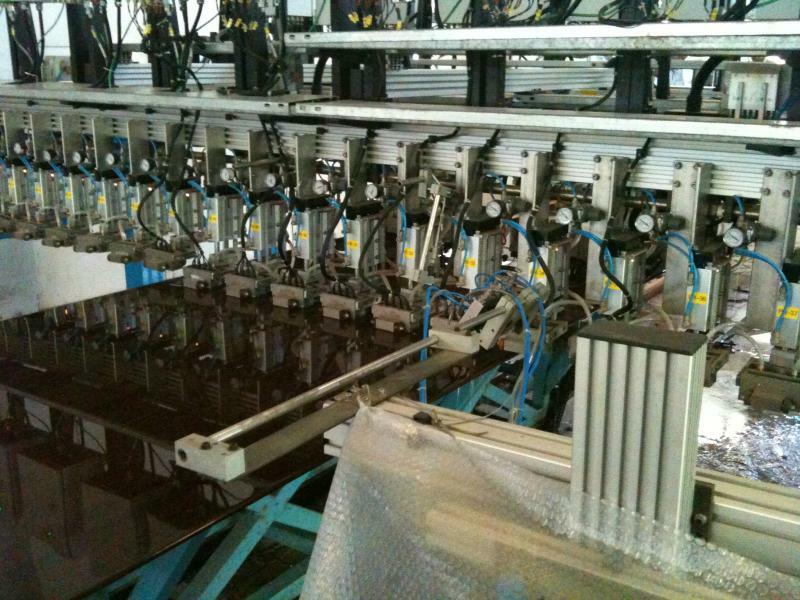 This inspection bench is used for the detection of longitudinal, transversal, and ALL obliques cracks, laminations and wall thickness. Only 2 Phased Array multielement probes are sufficient to get a productivity of 128 tubes per hour with a diameter(Ø) of 146mm. 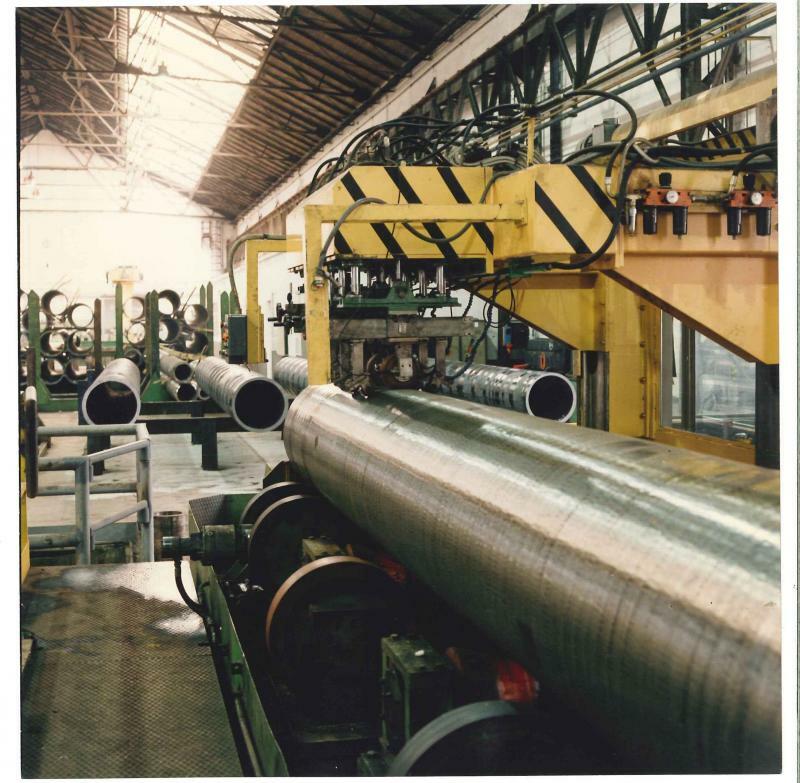 For 426mm tube diameter (Ø), the productivity is 86 tubes per hour. 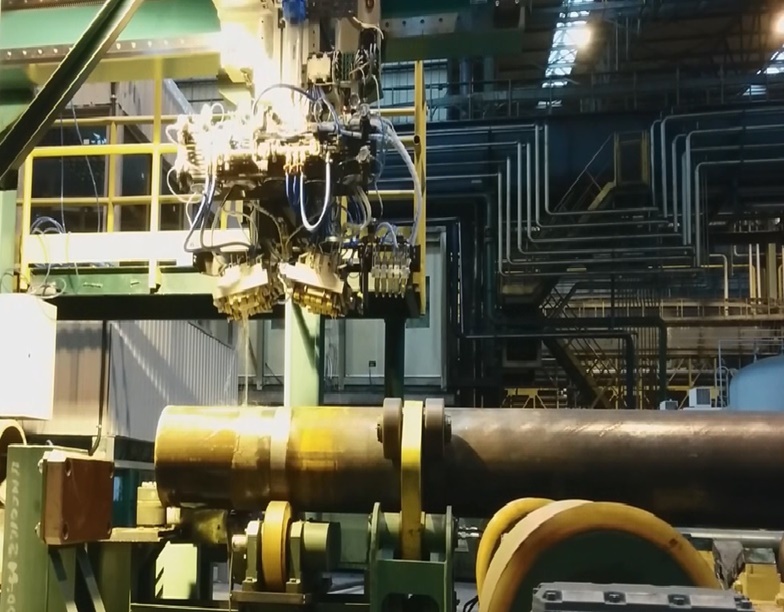 Our partner NDT Ukraine has developed an OCTG tubing inspection bench for a high productivity line using our patented FAAST Phased Array technology, according to the highest API standards. This full body bench is used for the detection of longitudinal, transversal, and ALL obliques cracks, laminations and wall thickness. Only 9 Phased Array multielement probes are sufficient to get a productivity of 71 tubes per hour with a diameter(Ø) of 146mm. 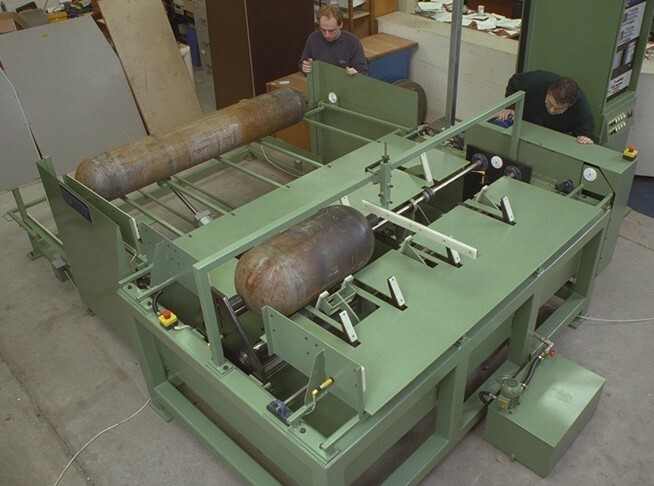 For 426mm tube diameter (Ø), the productivity is 30 tubes per hour. Flaw detection and Thickness measurement on OCTG tubing using conventional electronics and wheel probes on top. Our partner EECI (India) has developed an on-line spiral weld inspection using conventional electronics.